Bike & Saddle Kenya offers a number of short & day trips in and-around Nairobi. With overnight packaged tours our latest offering in East Africa. 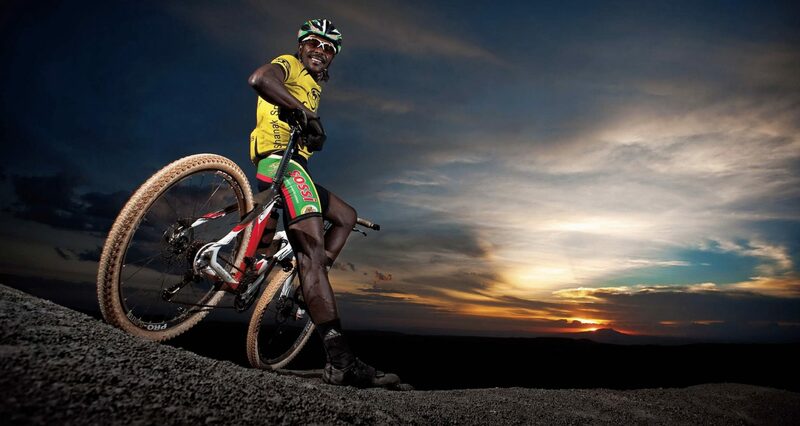 Our representative partner, David Kinjah, is perhaps best known for the career of four-time Tour winner Chris Froome. It all started thousands of miles away in a tiny village on the outskirts of Nairobi when David, by then a Kenyan professional cyclist, started taking Chris on trips through the mountains, infecting him with the cycling virus! Today David runs his own events and travel business from Nairobi, King Bike, and he’s the founder and director of Safari Simbaz, a youth program and cycling center reducing poverty through the power of the bike. Safari Simbaz is also one of our Beneficiary Initiatives in the Eco-Miles Program.